Today is Presidents Day in the USA – it is a Federal holiday to celebrate the birth of George Washington. The holiday is held on the third Monday in February. 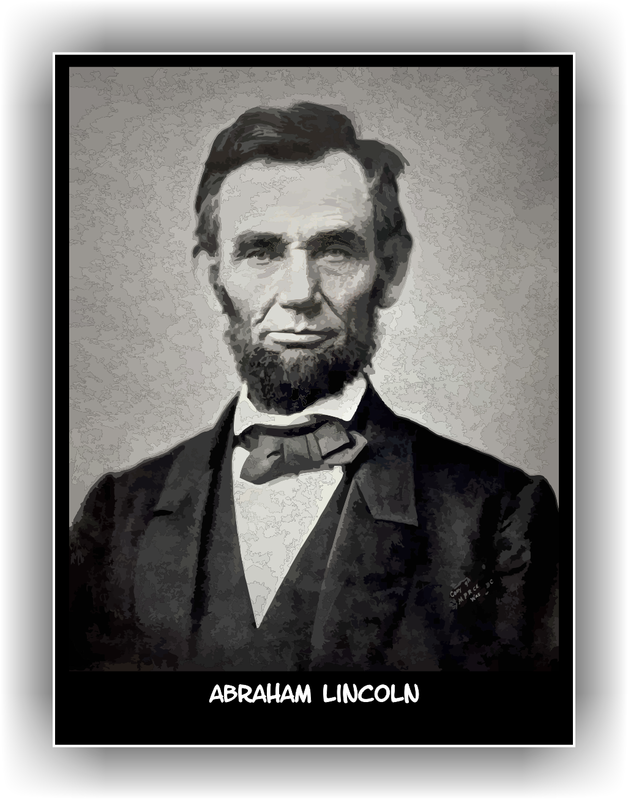 This also celebrates Abraham Lincoln’s birthday, which is February 12. 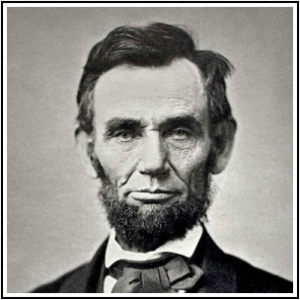 The holiday is widely known as “Presidents Day” and is a chance to celebrate, or at least learn a bit about all presidents and not just George Washington and Abraham Lincoln. 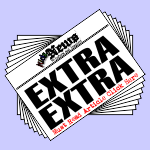 In Washington’s adopted hometown of Alexandria, Virginia, celebrations are held throughout the month of February. Both Lincoln’s and Washington’s birthdays are in February. In various rankings of Presidents of the United States both Lincoln and Washington are frequently the top two presidents. Great idea, we have a voting setup where you can select your favourite US President and let’s see who comes out on top. 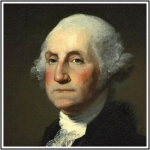 George Washington (February 22, 1732 – December 14, 1799), was one of the Founding Fathers of the United States, serving as the commander-in-chief of the Continental Army during the American Revolutionary War and later as the new republic’s first President. He also presided over the convention that drafted the Constitution. 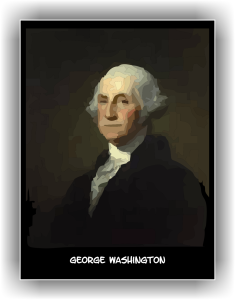 Washington, D.C., the capital of the United States, is named for him, as is the State of Washington on the nation’s Pacific Coast. Theodore “Teddy” Roosevelt (October 27, 1858 – January 6, 1919) was the 26th President of the United States of America (1901–1909). He is noted for his exuberant personality, range of interests and achievements, and his leadership of the Progressive Movement, as well as his “cowboy” persona and robust masculinity. 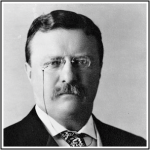 He was a leader of the Republican Party and founder of the short-lived Progressive (“Bull Moose”) Party of 1912. 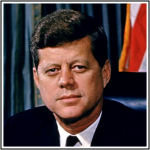 Before becoming President, he held offices at the city, state, and federal levels. Roosevelt’s achievements as a naturalist, explorer, hunter, author, and soldier are as much a part of his fame as any office he held as a politician. Roosevelt was 42 years old when sworn in as President of the United States in 1901, making him the youngest president ever; he beat out the youngest elected president, John F. Kennedy, by only one year. Roosevelt was also one of only three sitting presidents to have won the Nobel Peace Prize. 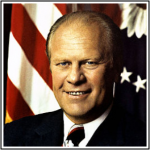 Gerald Rudolph “Jerry” Ford, Jr. (born Leslie Lynch King, Jr.; July 14, 1913 – December 26, 2006) was the 38th President of the United States, serving from 1974 to 1977, and the 40th Vice President of the United States serving from 1973 to 1974. As the first person appointed to the vice-presidency under the terms of the 25th Amendment (after Spiro Agnew had resigned), when he became President upon Richard Nixon’s resignation on August 9, 1974, he became the only President of the United States who was never elected President nor Vice-President by the Electoral College. Before ascending to the vice-presidency, Ford served nearly 25 years as the Representative from Michigan’s 5th congressional district, eight of them as the Republican Minority Leader. 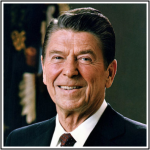 Ronald Wilson Reagan (February 6, 1911 – June 5, 2004) was the 40th President of the United States (1981–89). Prior to that, he was the 33rd Governor of California (1967–75), and a radio, film and television actor. 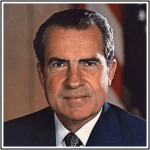 Richard Milhous Nixon (January 9, 1913 – April 22, 1994) was the 37th President of the United States, serving from 1969 to 1974. The only president to resign the office, Nixon had previously served as a US representative and senator from California and as the 36th Vice President of the United States from 1953 to 1961. 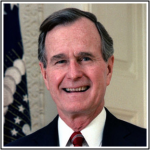 George Walker Bush (born July 6, 1946) is an American politician and businessman who was the 43rd President of the United States from 2001 to 2009 and the 46th Governor of Texas from 1995 to 2000. The eldest son of Barbara Bush and George H. W. Bush, he was born in New Haven, Connecticut. After graduating from Yale University in 1968 and Harvard Business School in 1975, Bush worked in oil businesses. He married Laura Welch in 1977 and ran unsuccessfully for the House of Representatives shortly thereafter. He later co-owned the Texas Rangers baseball team before defeating Ann Richards in the 1994 Texas gubernatorial election. 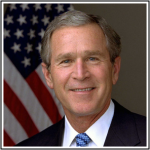 In a close and controversial election, Bush was elected president in 2000, becoming the fourth president to be elected despite receiving fewer popular votes nationwide than his opponent. Bush is the second president to have been the son of a former president, the first being John Quincy Adams. He is also the brother of Jeb Bush, former Governor of Florida. George Herbert Walker Bush (born June 12, 1924) is an American politician who served as the 41st President of the United States (1989–93). 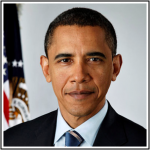 He had previously served as the 43rd Vice President of the United States (1981–89), a congressman, an ambassador, a Director of Central Intelligence, and is currently the oldest surviving president.